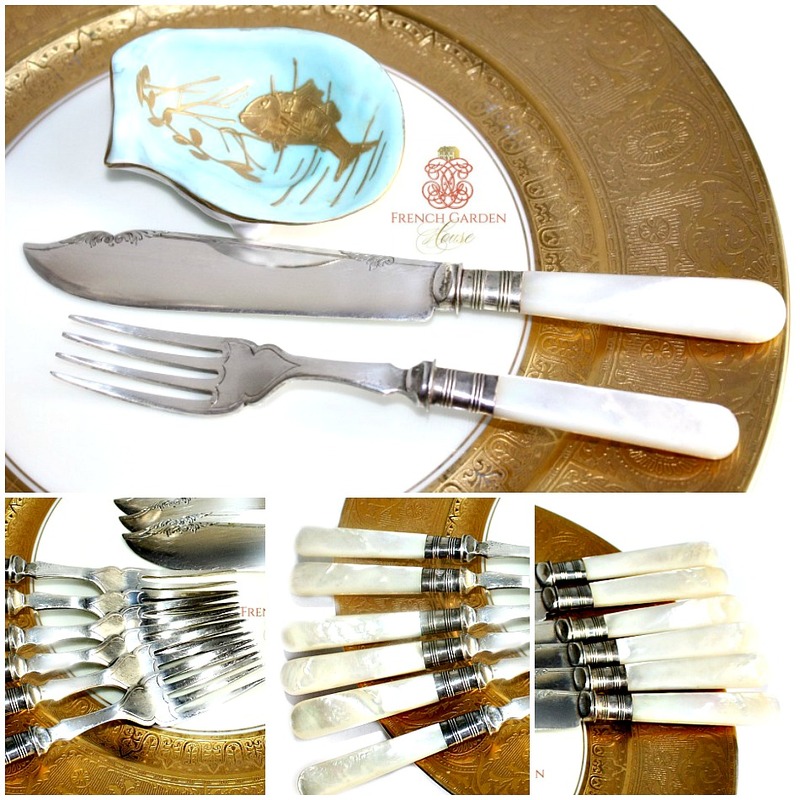 Stunning cased Antique English Mother of Pearl Silver Fish Service Set for six made with Mother of Pearl handles that are engraved, silver plate working parts with exquisitely decorated terminals and sterling silver ferrules. 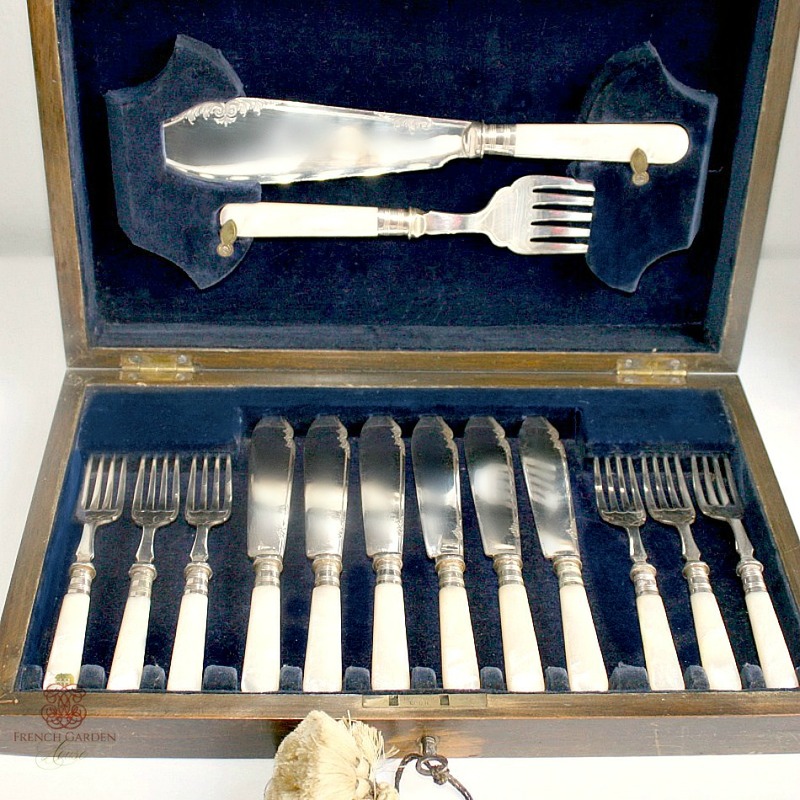 Complete with the serving fork and blade, this is an exceptional service. 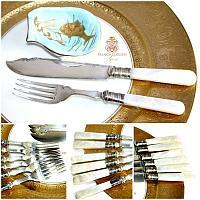 The front of each sharp pointed knife is engraved with a scrolling design, and the fork is engraved with an elegant and simple beautiful decorative design. So rare to find in this exquisite condition, sure to be the star of your most beautiful table. Marked W G & S for William Watson and Herbert Gillot, established in 1896 in Sheffield, England. The fitted wood case has done it's job of keeping them safe and in excellent condition, it comes complete with the original key and small tassel. Lined in blue, it has minor wear commensurate with age. 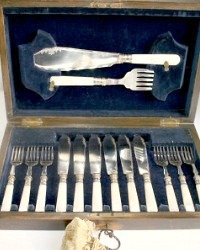 Knife:7-7/8" long;Fork: 7"long; Serivce set:11" Knife; 8-1/4"fork. 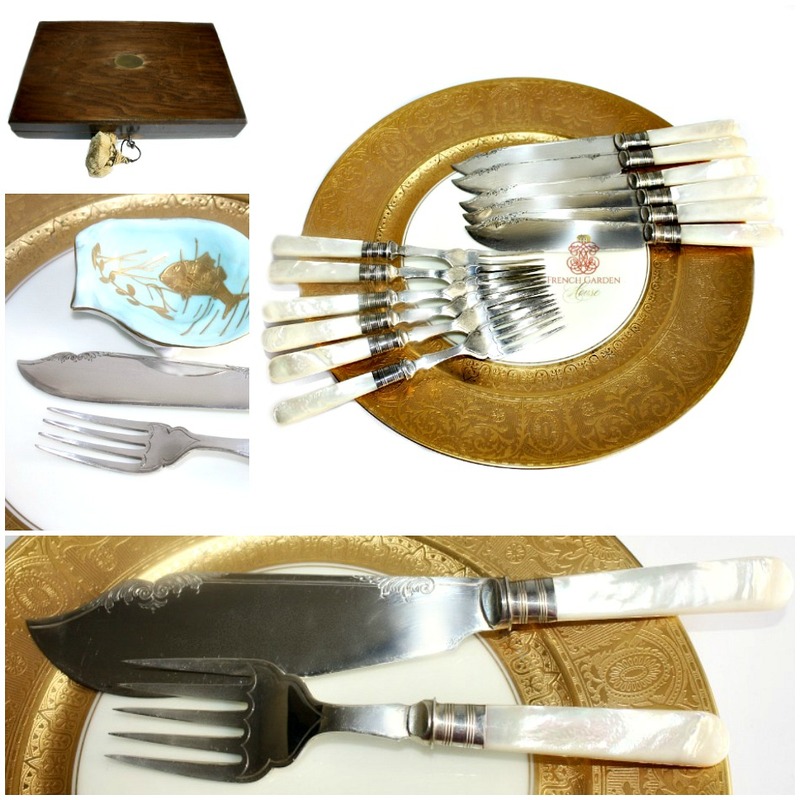 A gorgeous treat for any table setting, and a magnificent gift for a favorite.